It all starts with location! This courtyard home in the tranquil chatham pointe section of tiger island estates is situated on an over-sized lot that offers one of the best views in all of lely resort. That is just the beginning, though, as these original owners brought the experience of building hundreds of homes to bear on the design (and upkeep) of this home. Enjoy the south-facing courtyard with its heated pool and fountain or retire to your separate screened lanai with its western exposure and breathtaking lake, sunset, and golf course views. Overnight guests--and you--will appreciate the privacy of the pool cabana. Motion detector lights, in-wall pest control tube system, landscape lighting, and a combination lock/deadbolt pairing on the front door will add to your peace of mind. The list of recent updates includes a new roof (march 2019), exterior painting, pool refinishing, hvac compressor, hot water heater, pool heater, garage door, wood tile in lr/dr, kitchen back splash, and appliances. The award-winning players club and spa is optional but not mandatory with this home. Home is priced for an unfurnished sale, but the owners will leave ~90% of furnishings. Rentals put in place for august/september, december 2019 and 3 months of the 2020 season. 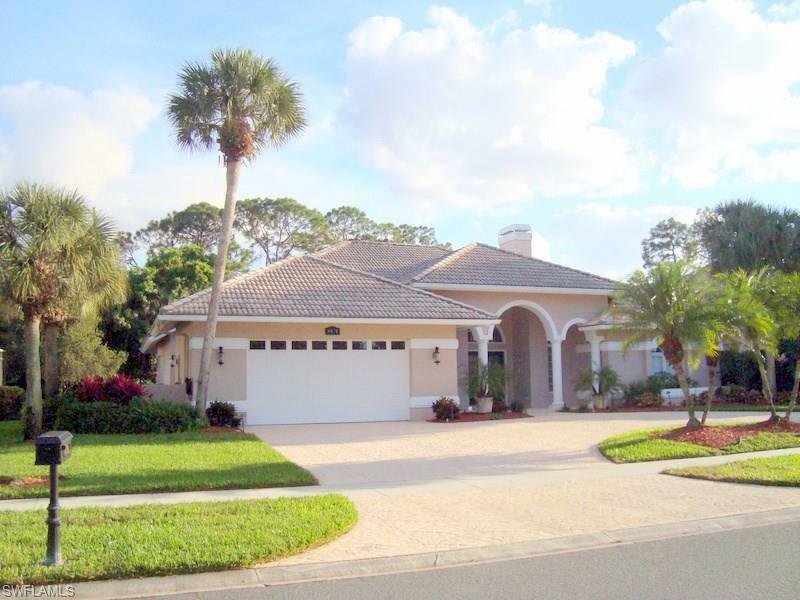 Located in mustang island at lely resort this beautiful 3 bedroom + den, 3. 5 bath pool home is being sold turnkey furnished and is waiting for its new owners. This fabulous residence has long views of the golf course and lake and a beautiful spa and waterfall that cascades into the pool. The interior has plenty of upgrades with 42 wood cabinets, tile on the diagonal and hardwood floors in the office. Screen cage on the lanai has just been replaced in 2018 compliments of hurricane irma. This is the perfect home for seasonal or full time residents with 3 bedrooms and 3 full baths (one leading to the pool), plus a den/office with a full wall of built in bookcases. Notice the large lot at39 acres overlooking the expansive golf course from the lanai and an unusually large set-back in the front yard, looking across the road to a lake. Stainless steel appliances in the kitchen which has a casual eating area overlooking the pool. Separate formal dining room looks to southeast allowing plenty of sunshine in through one of the four large arched windows you see from the front entry. 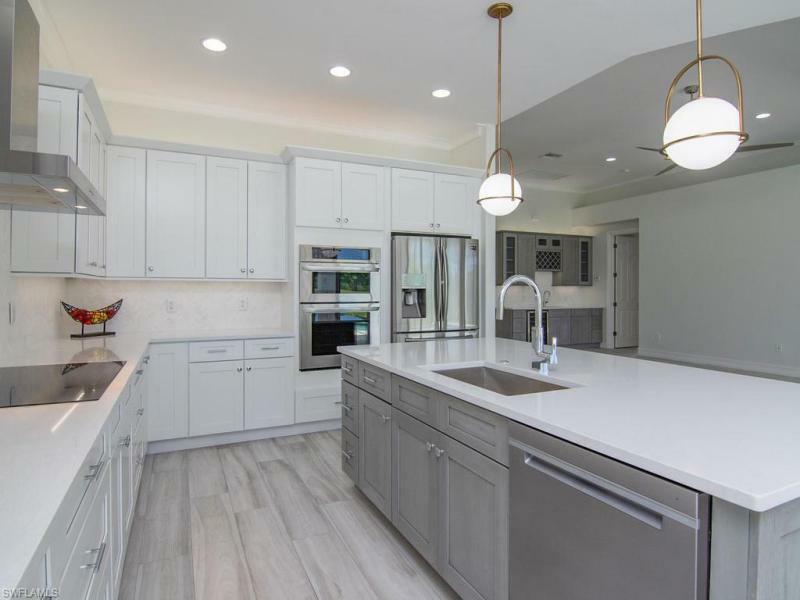 The baths have granite counters, the master provides a relaxing spa tub + an enclosed shower, double sinks, plenty of cabinet storage and california walk-in closet. Sit back and relax, listening to the surround sound by the pool while you enjoy morning coffee or evening dinner on the lanai. Lely resort offers membership to the player's club, with a great tennis facility, bocce, full service dining, fitness center, spa, awesome pool and scheduled social activities. Lely resort has 3 golf courses, 2 are public and one is private. There are no mandatory memberships associated with this home. 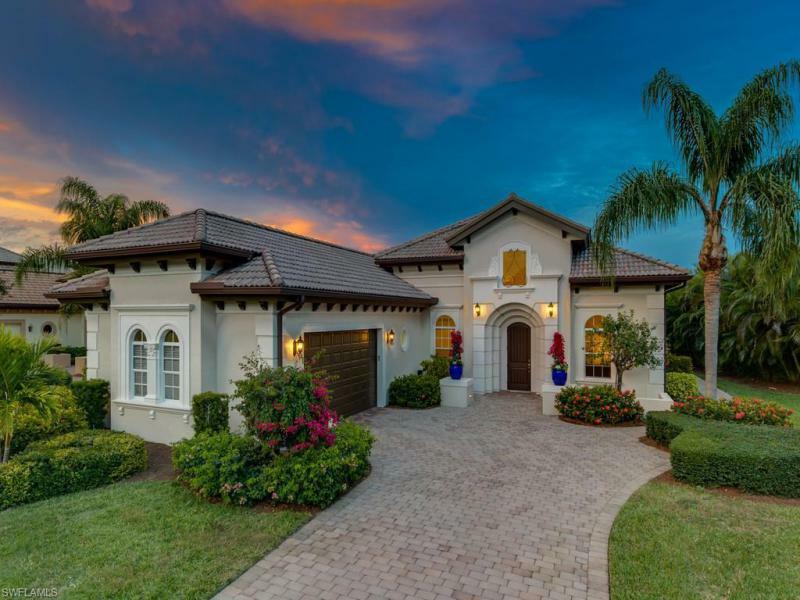 Check out this amazing lely island estate home. Perfect for investor or end user, annual tenant in place for immediate cash flow. Panoramic views of the water and golf course are perfect for relaxing and entertaining. The master suite has it's own private screened-in courtyard retreat and ac system, as well as glass french doors that open up to your heated pool and spa. Spacious gourmet kitchen has gorgeous upgraded granite with tons of workspace, storage and plenty of natural light pouring in from a transom window above the cabinetry. With great use of space, the den is used as a 2nd entertainment center/4th bedroom. The oversized 2. 5 car garage (could be converted to a 3 car garage) is decked out with cabinets, tool storage, and workstations. Membership to the award winning player's club and spa is available but certainly not mandatory. Come see why this is the best value in lely island estates!